Gregory Shamus/GettyJohnny Manziel hasn’t played in the NFL since 2015. In a remarkably candid interview with Good Morning America, Johnny Manziel says that he has stopped drinking and wants to return to football for the first time since 2015. A former Heisman trophy winner and first-round draft pick, Manziel’s two seasons in the NFL were overshadowed by off-field controversies surrounding Manziel’s antics and drinking. 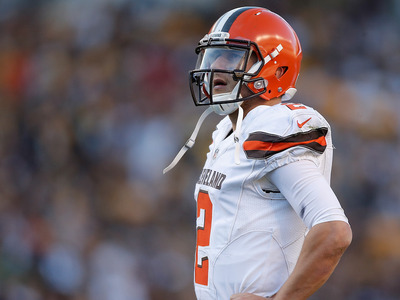 Now, however, Manziel says that he has quit drinking after being diagnosed with depression and bipolar disorder. “For a while I got so ingrained, caring only about what Johnny wanted, only caring what mattered to me, what made me happy. When I look back at it now, even when I thought I was doing what I wanted, I was miserable,” he said. Now, however, Manziel says that he is making his mental health “a priority” in his life. He has stopped drinking, and was diagnosed with bipolar disorder around a year ago.